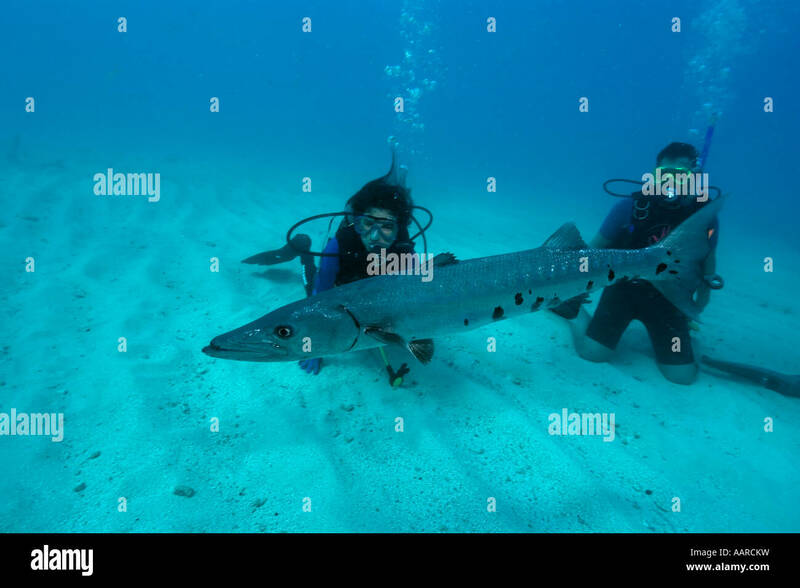 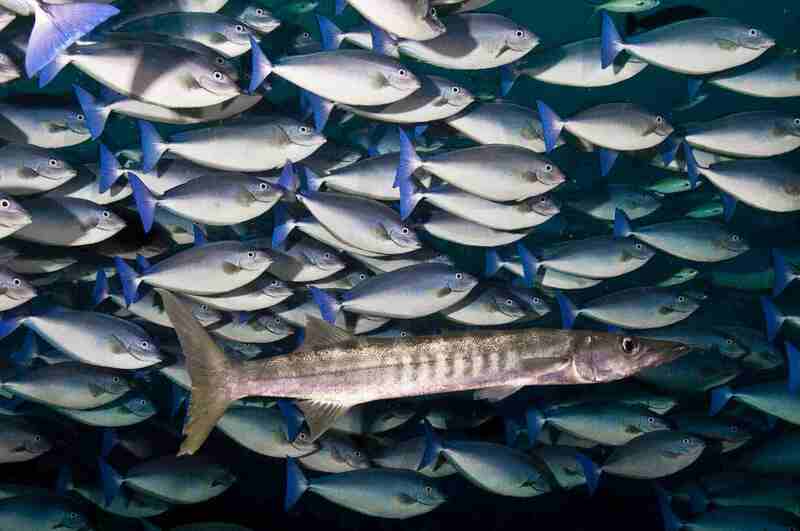 Scuba diver inside a school of sawtooth barracudas in Koh Tao, Thailand. 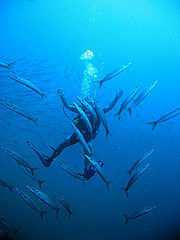 Photo by Marc Tarlock via Flickr, Creative Commons License. 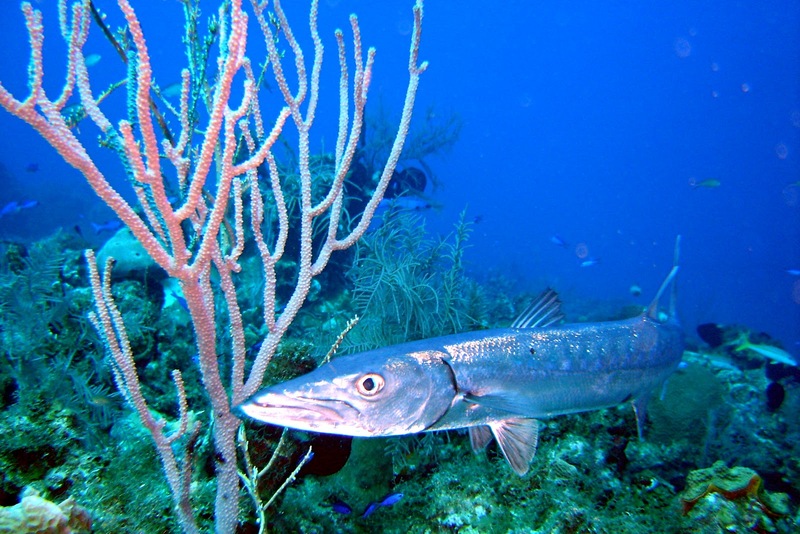 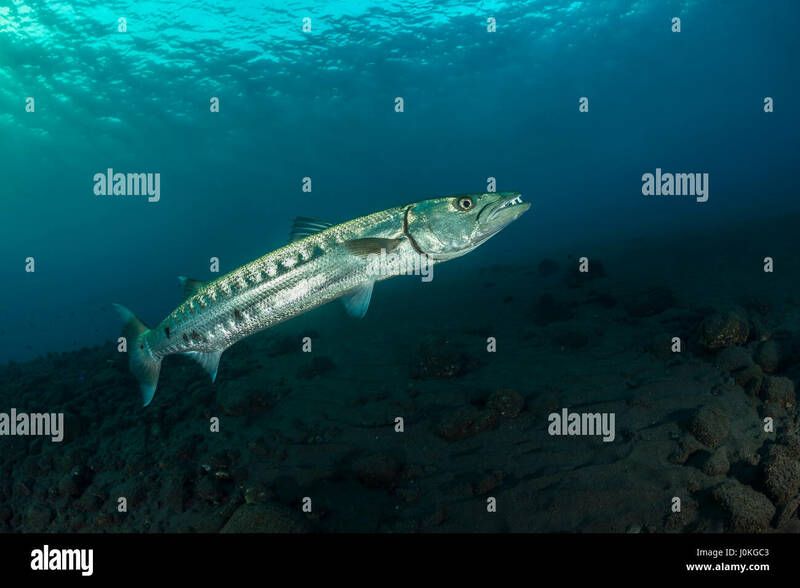 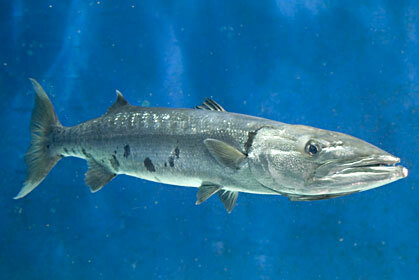 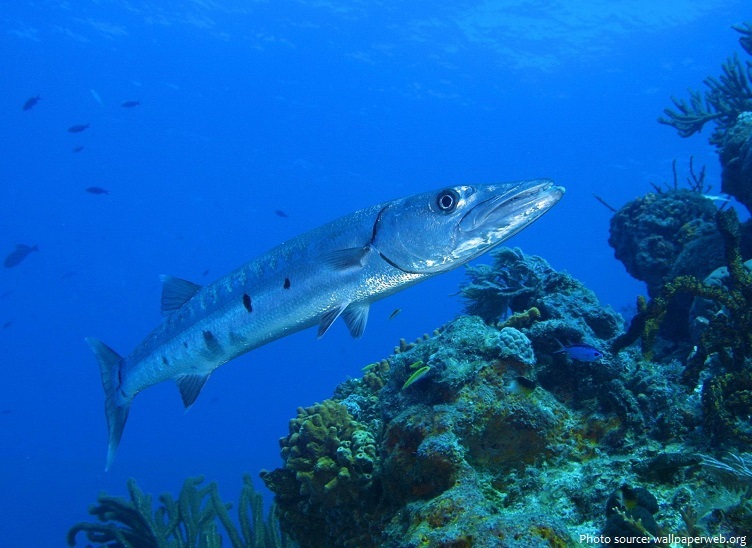 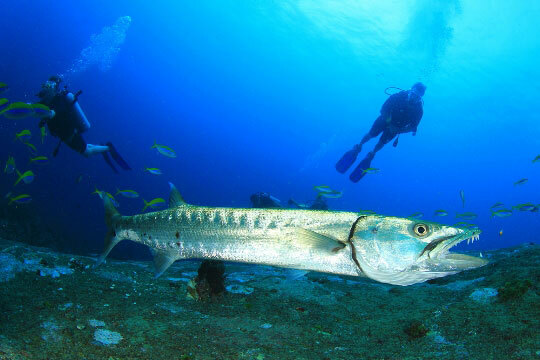 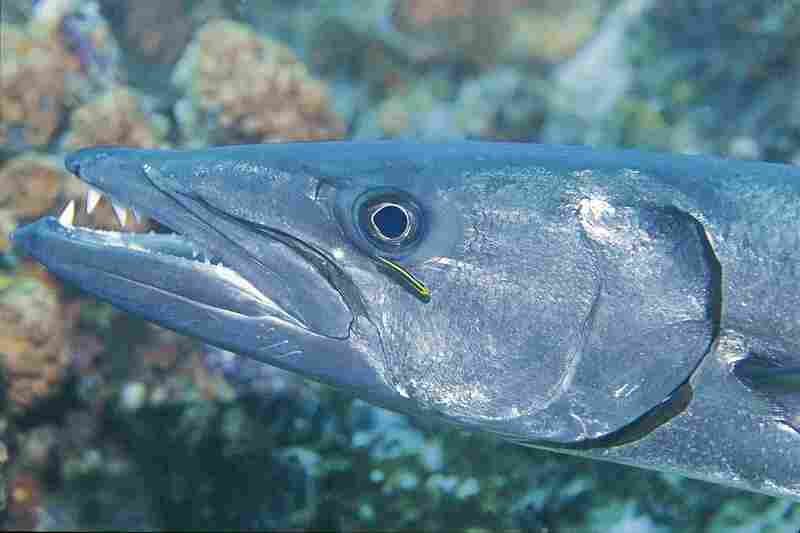 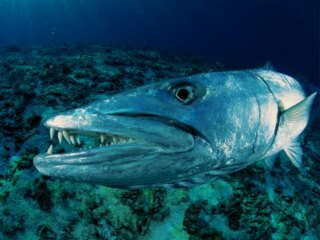 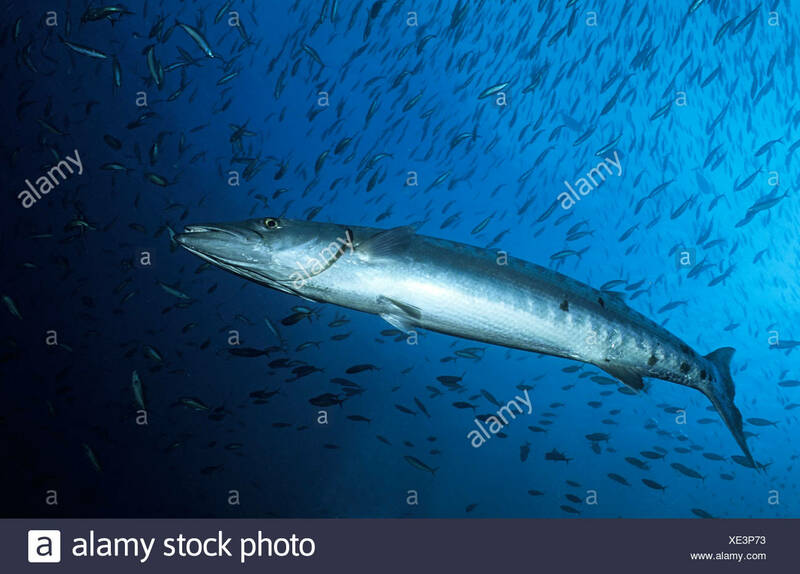 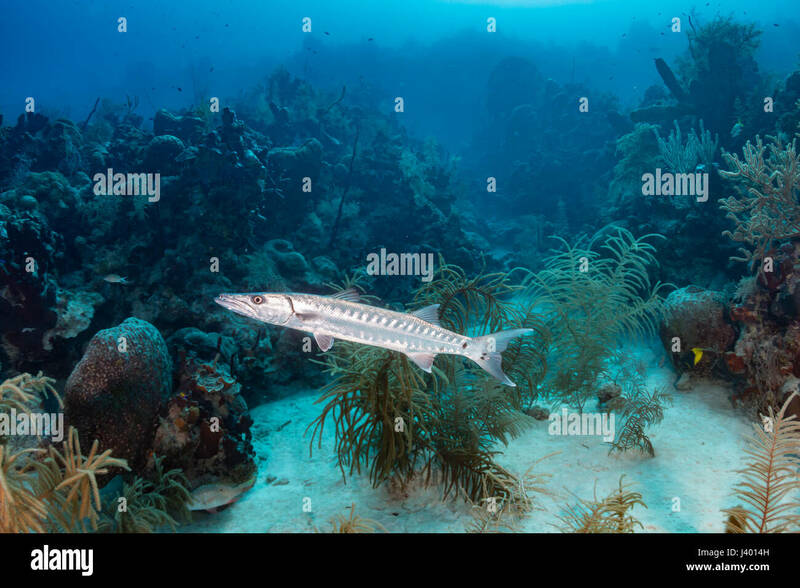 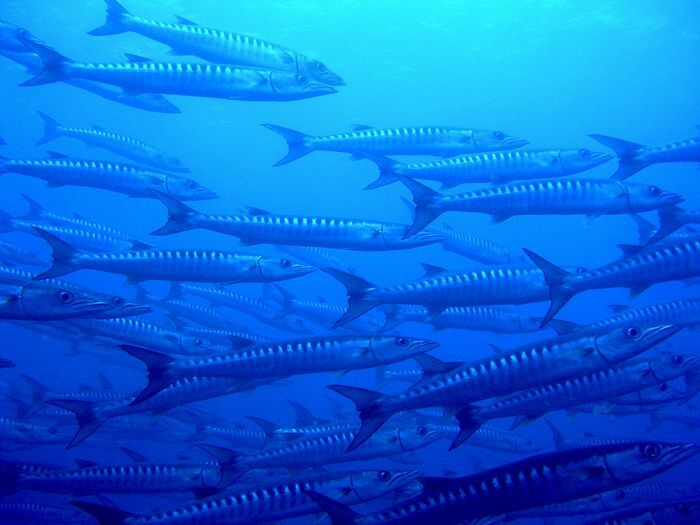 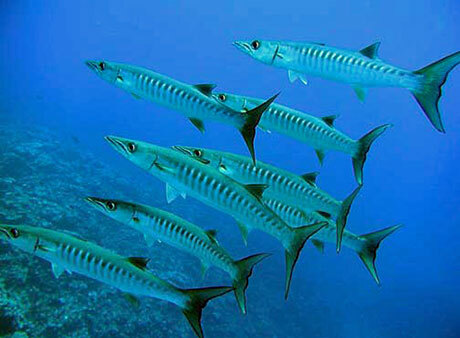 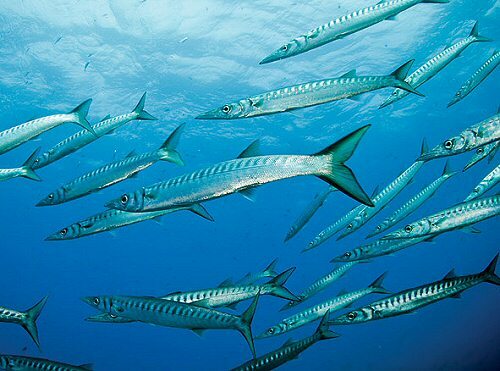 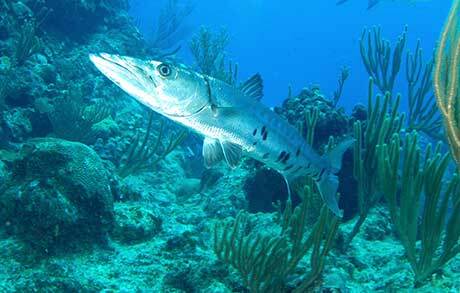 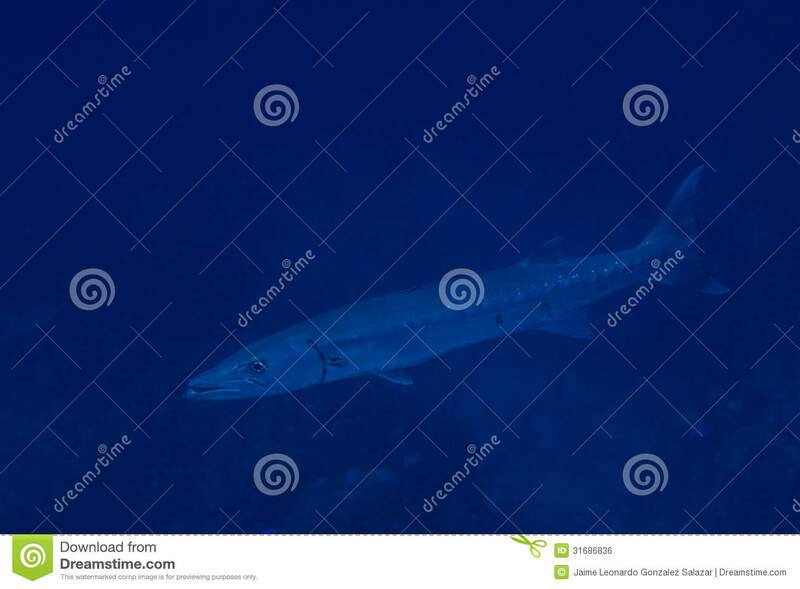 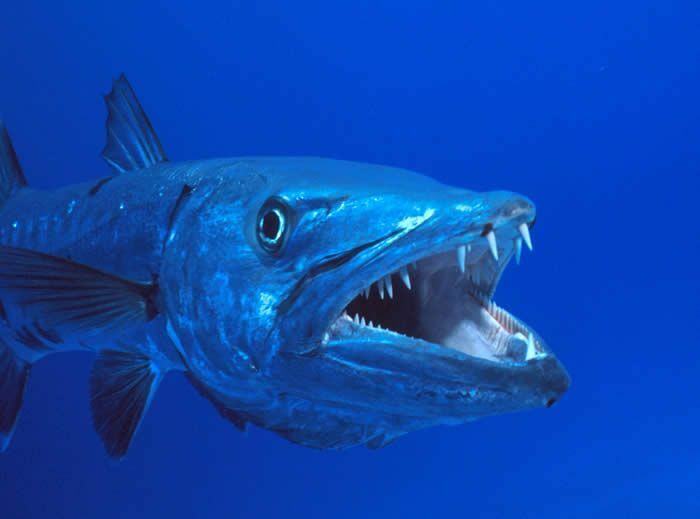 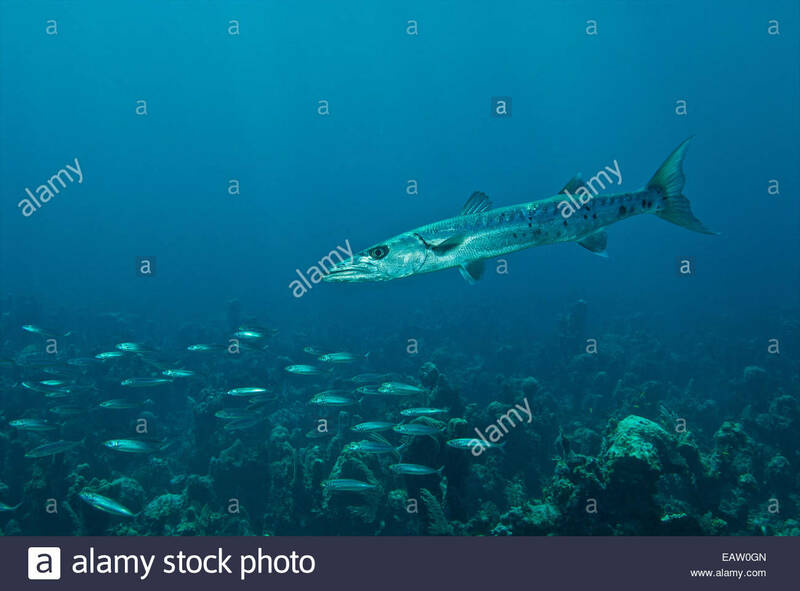 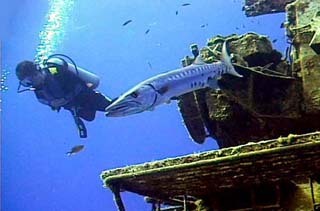 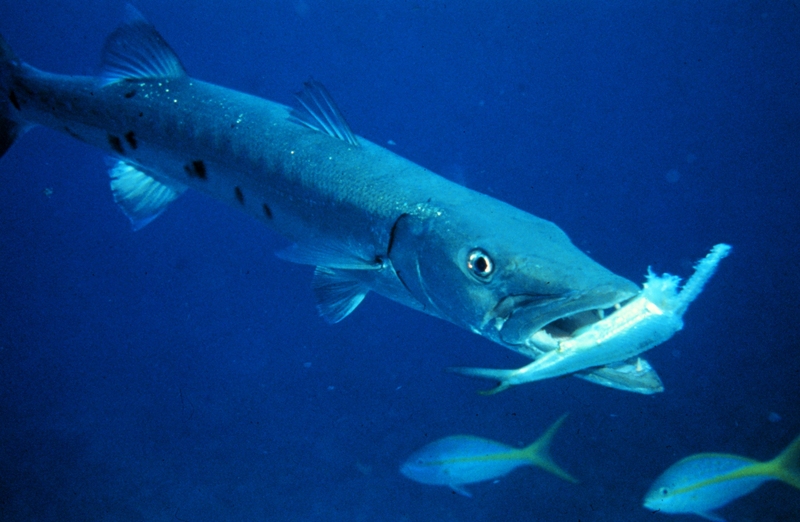 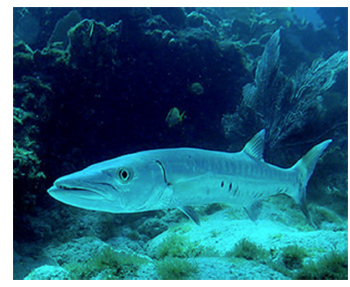 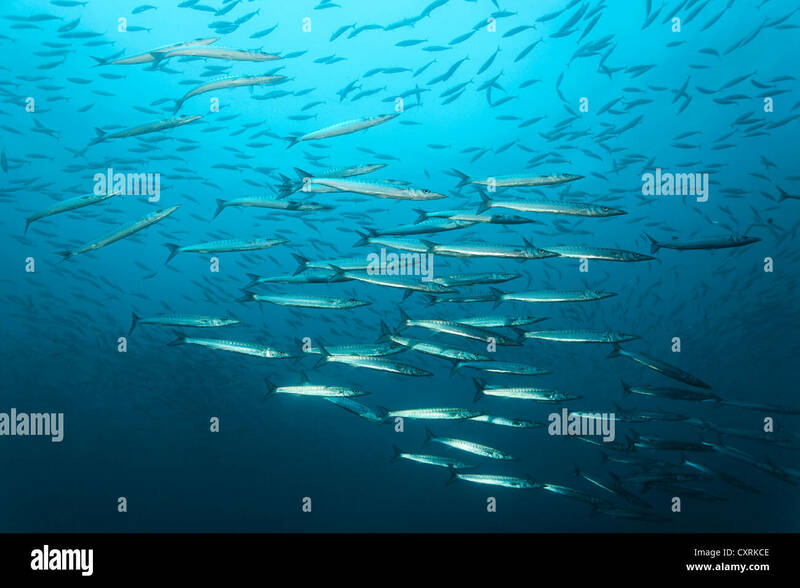 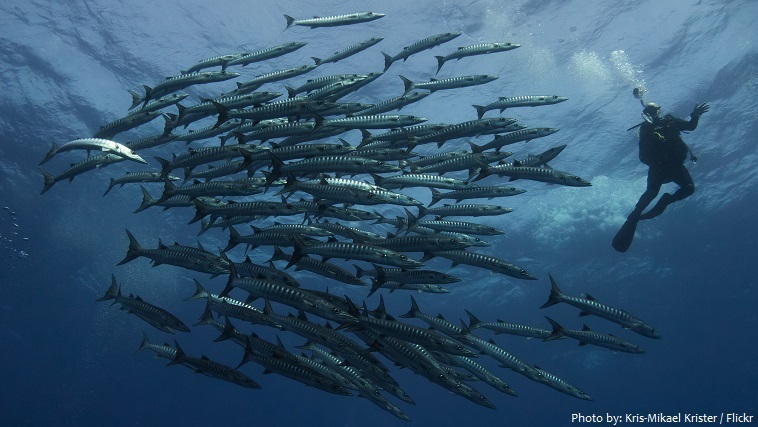 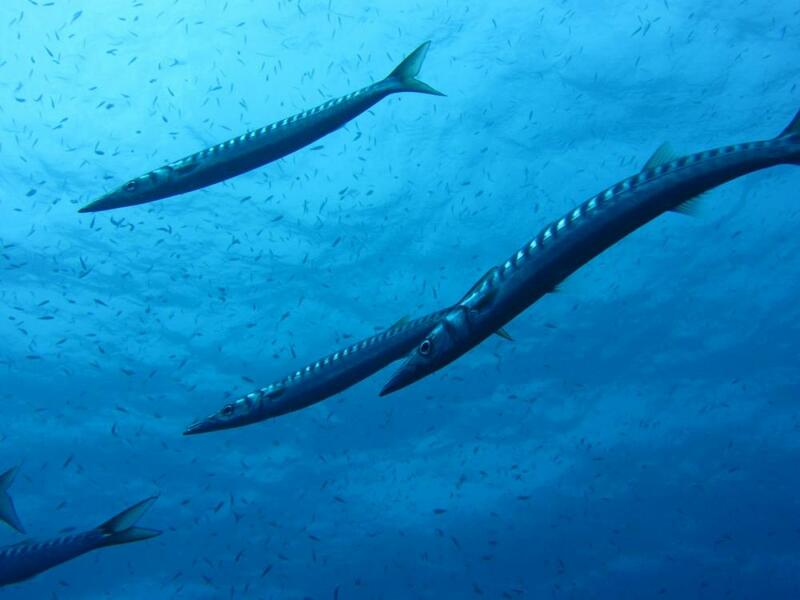 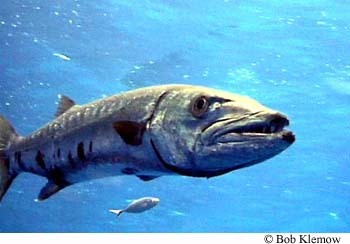 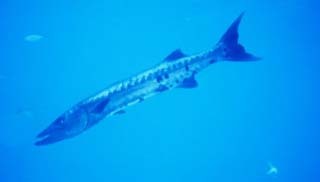 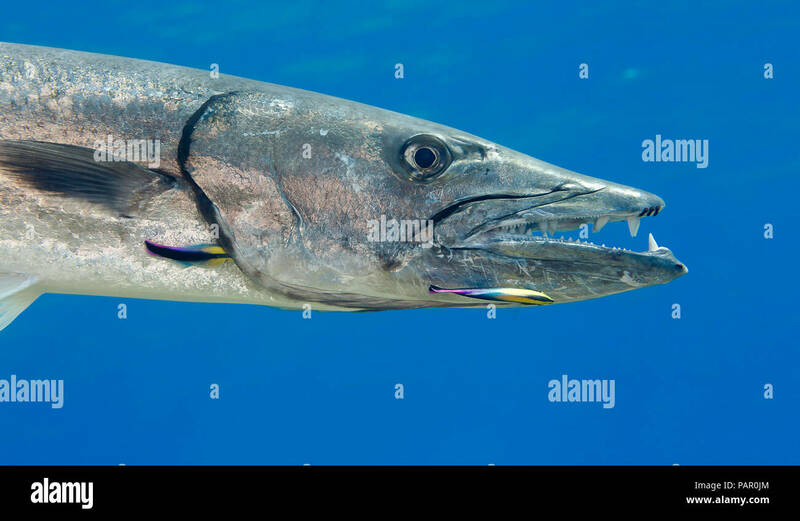 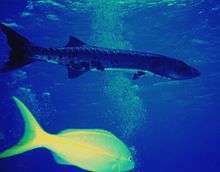 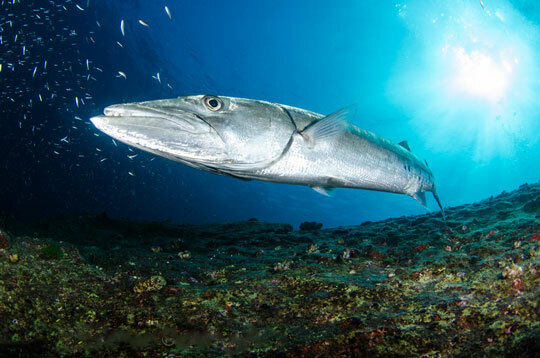 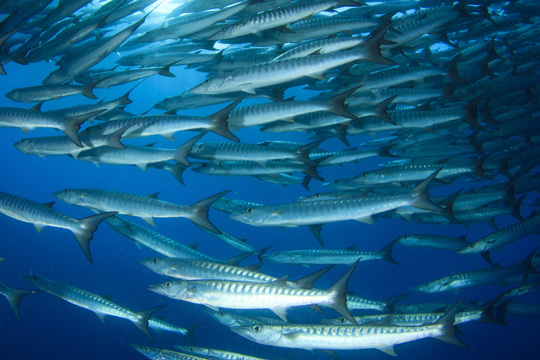 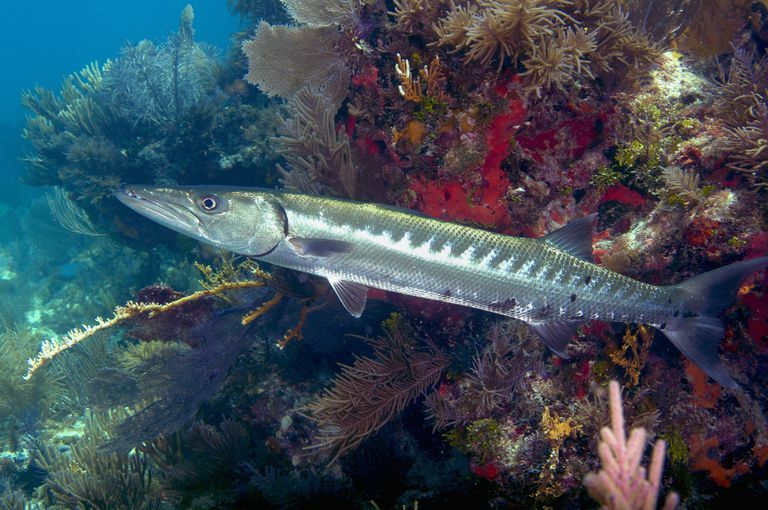 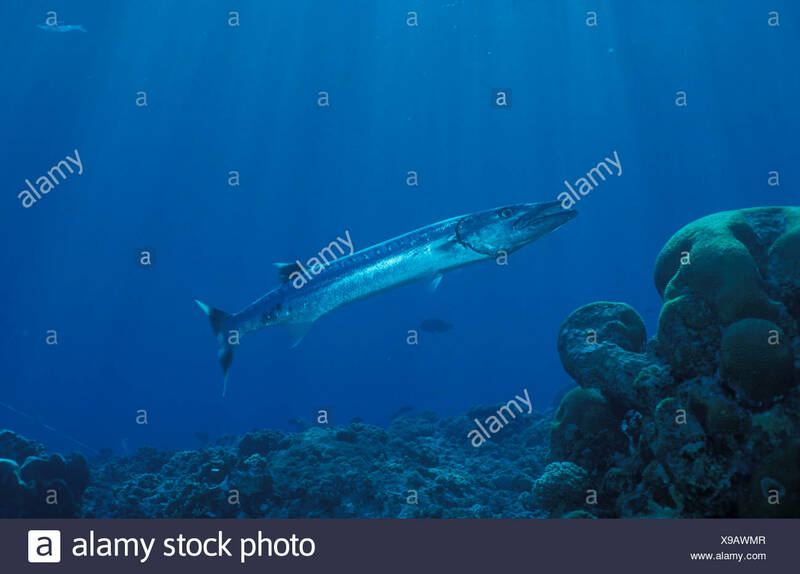 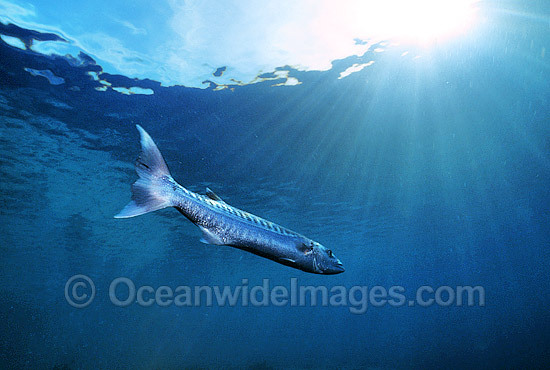 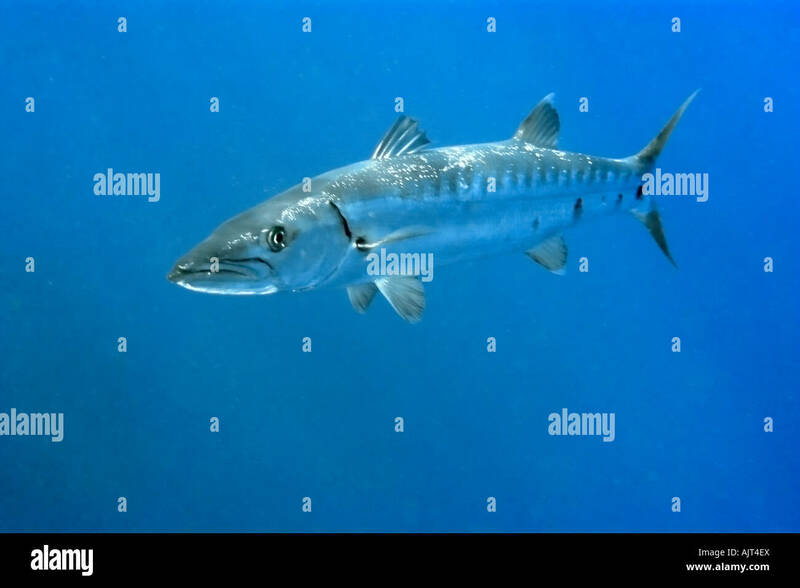 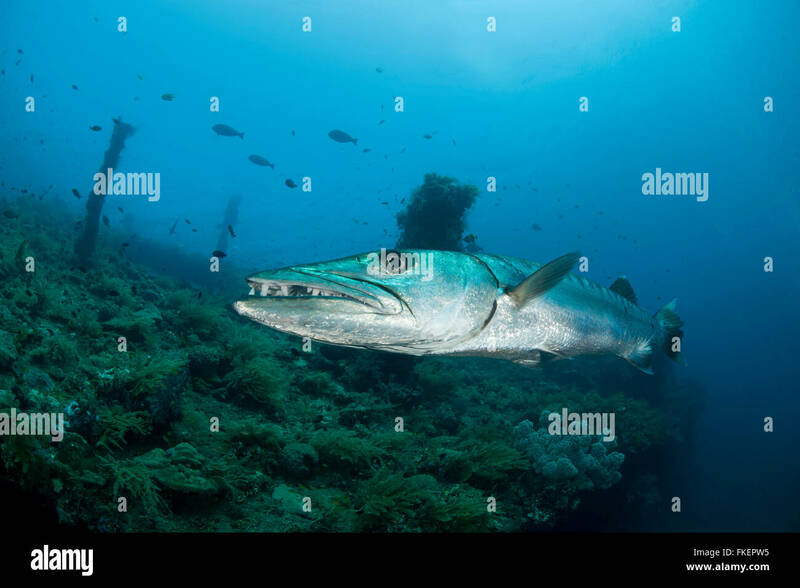 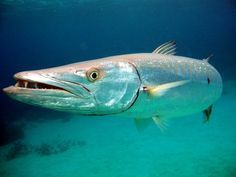 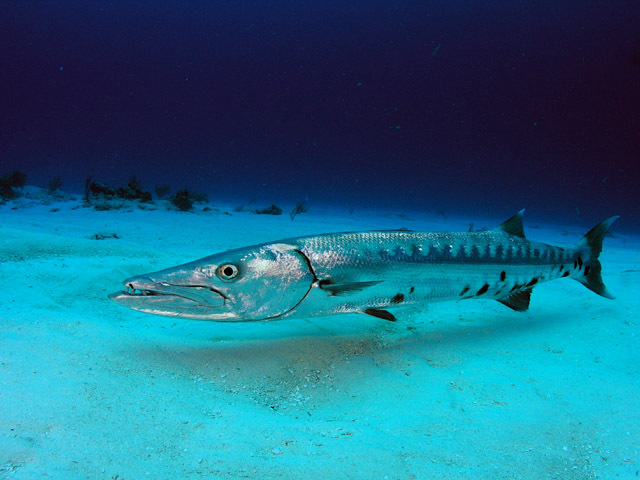 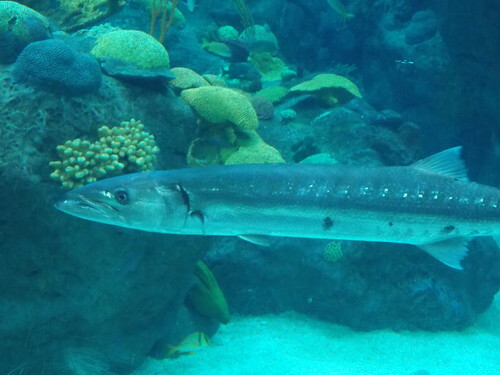 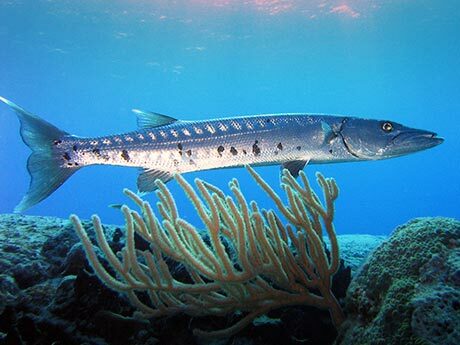 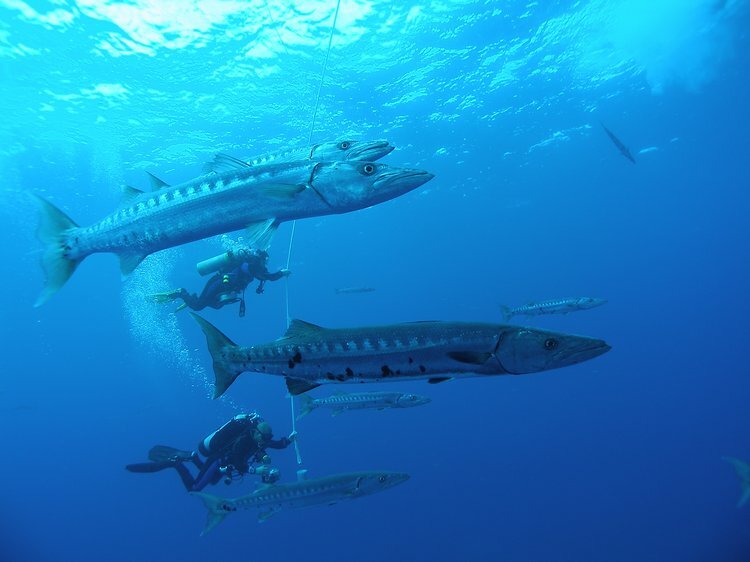 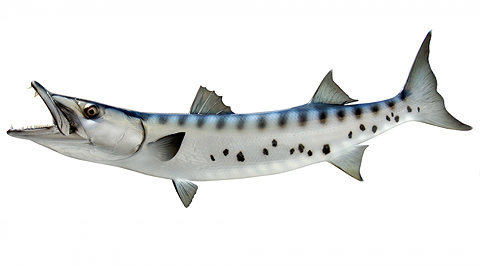 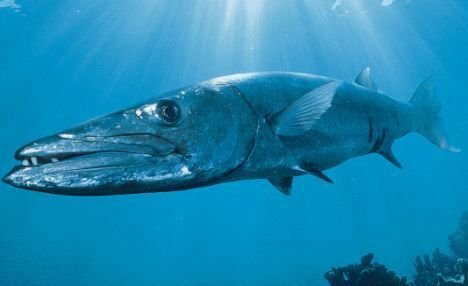 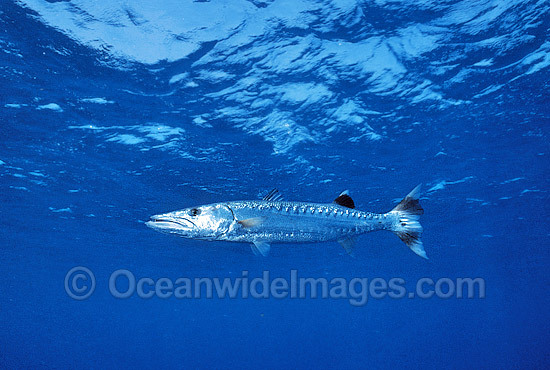 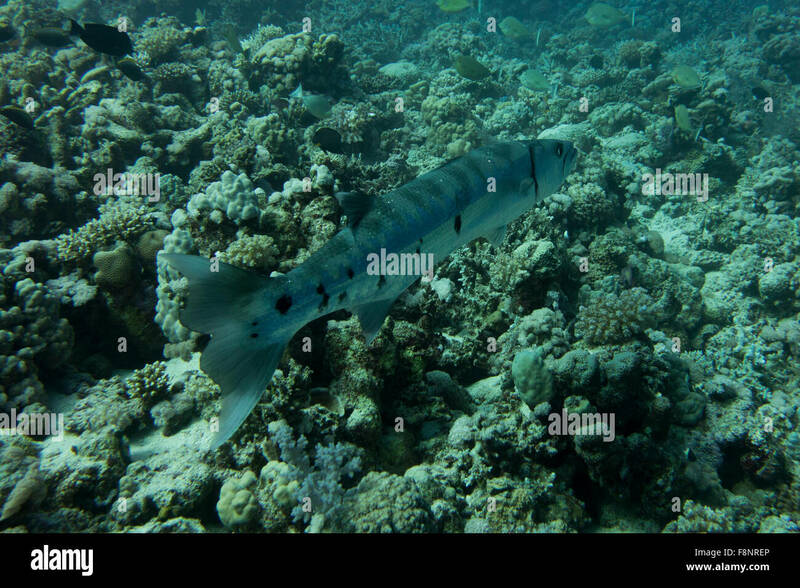 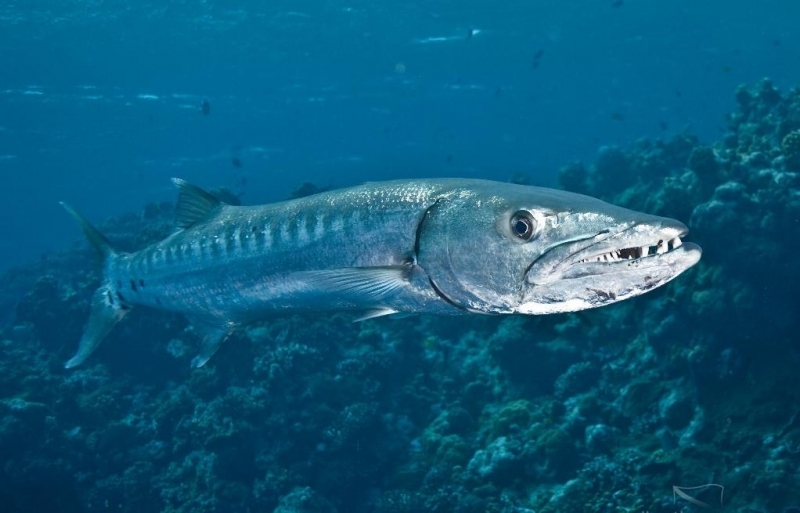 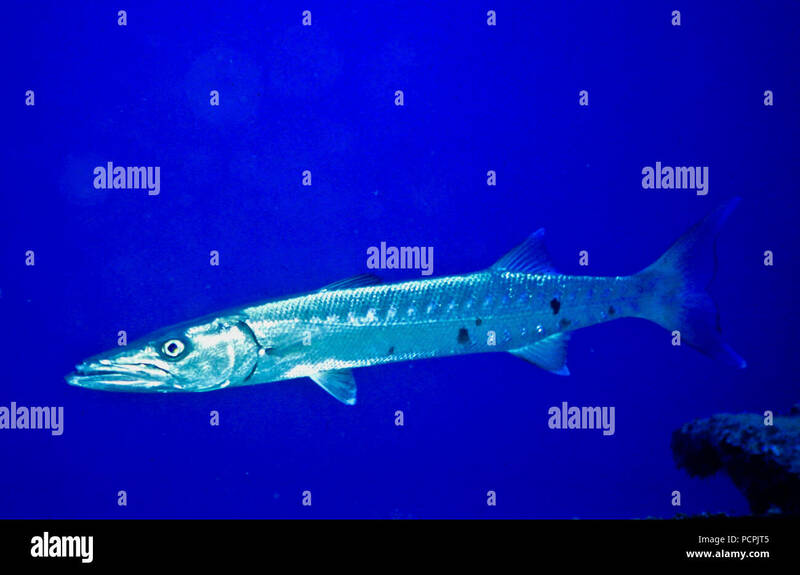 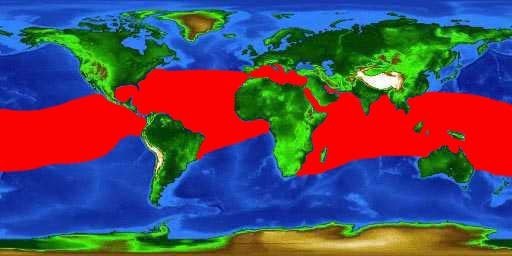 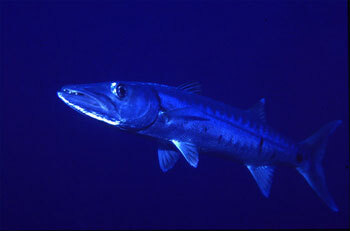 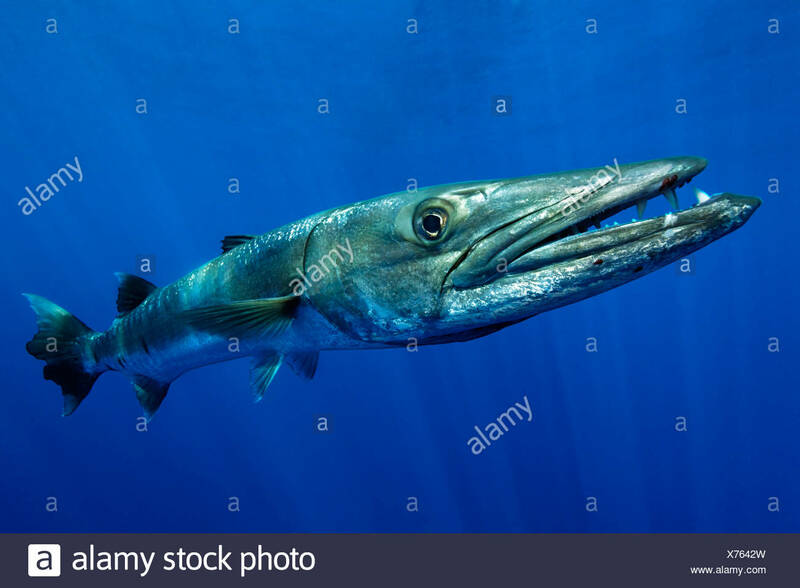 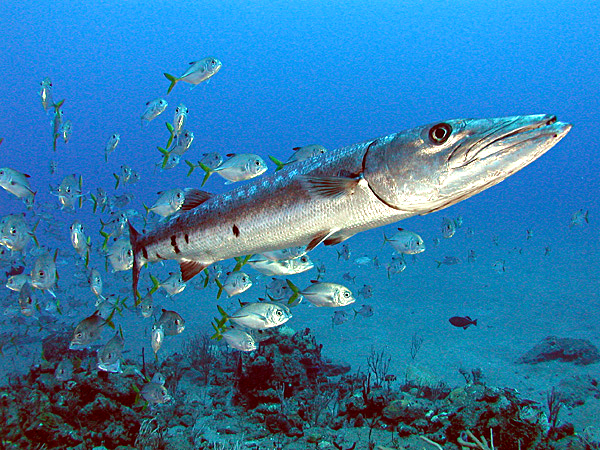 Barracudas are ferocious, opportunistic predators, relying on surprise and short bursts of speed, up to 43 km/h (27 mph), to overtake their prey. 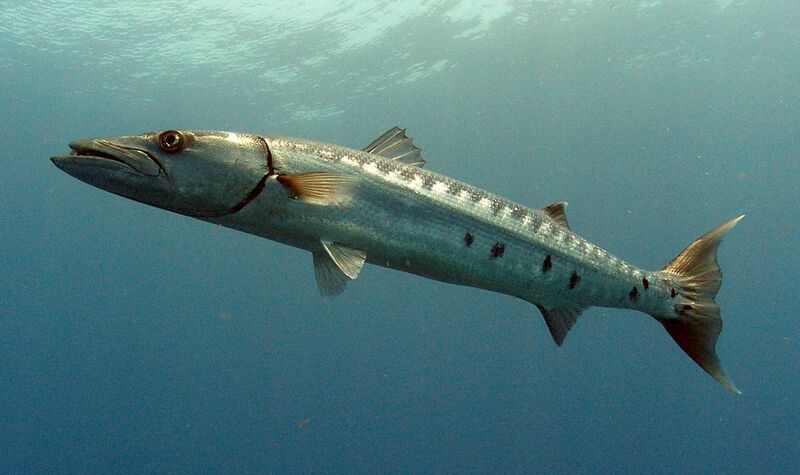 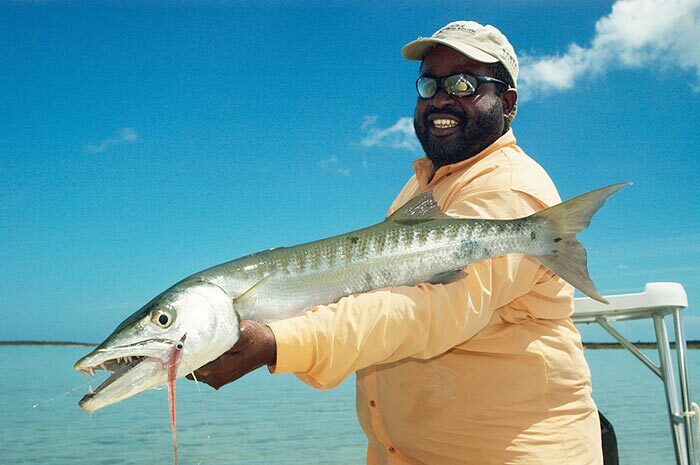 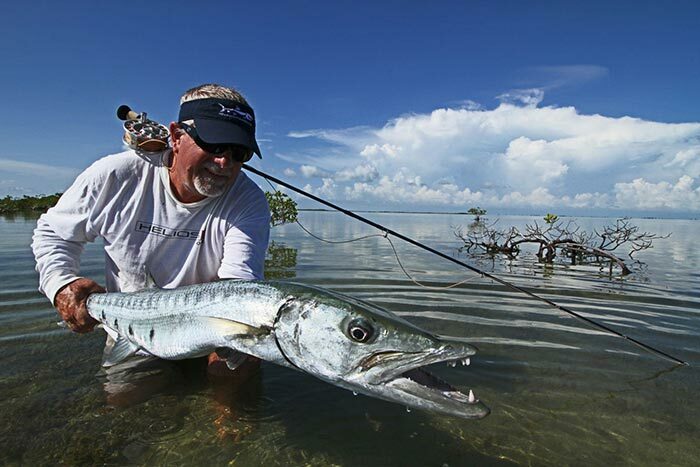 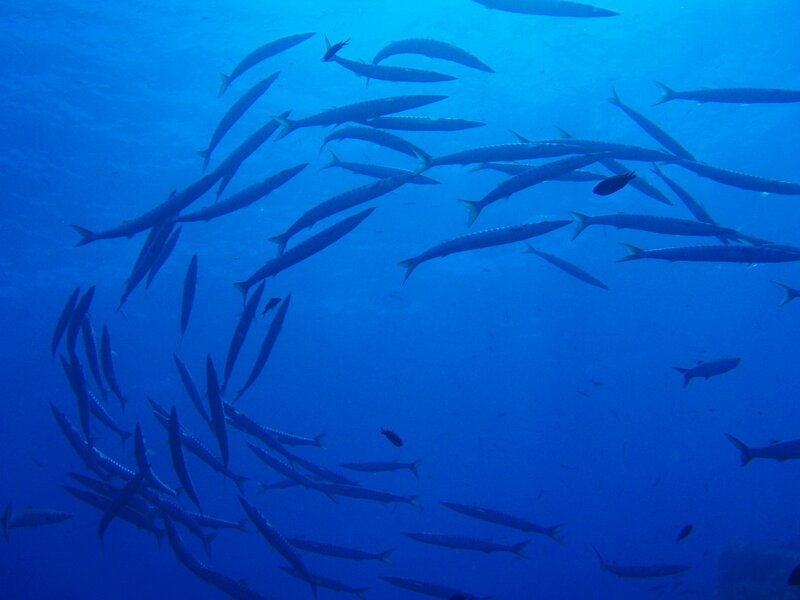 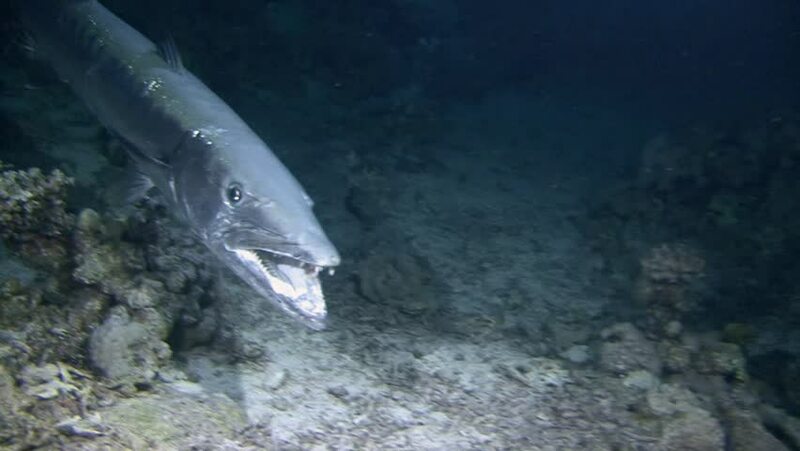 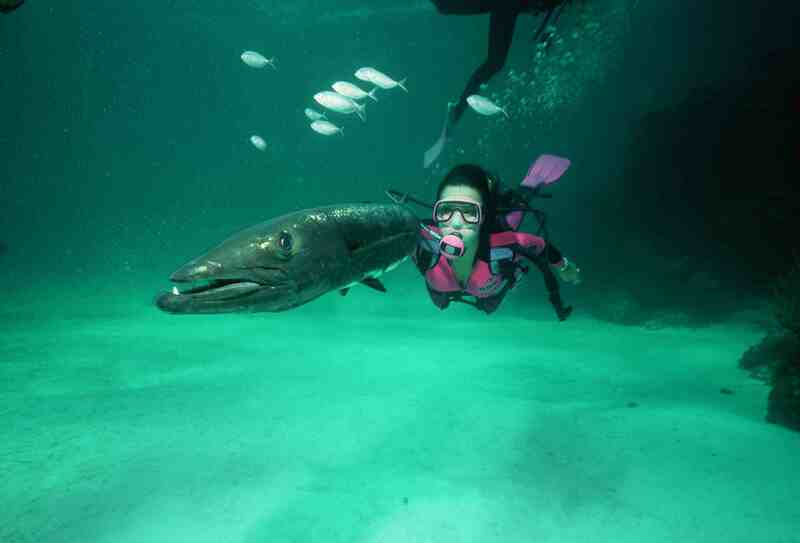 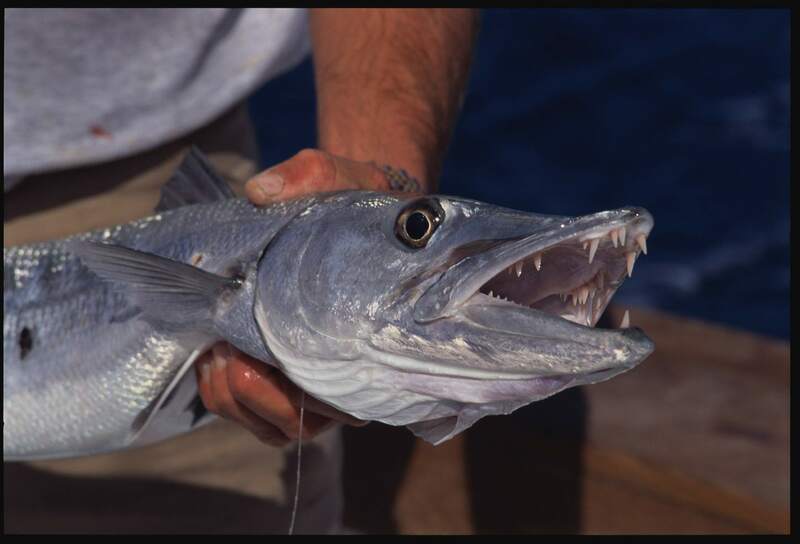 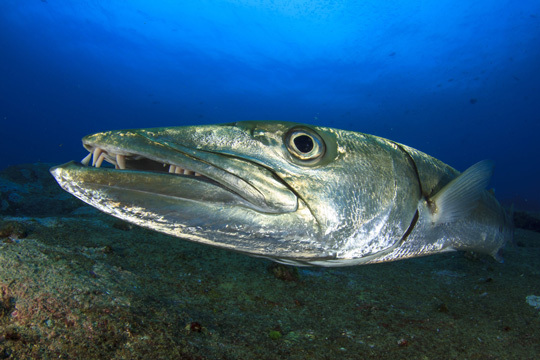 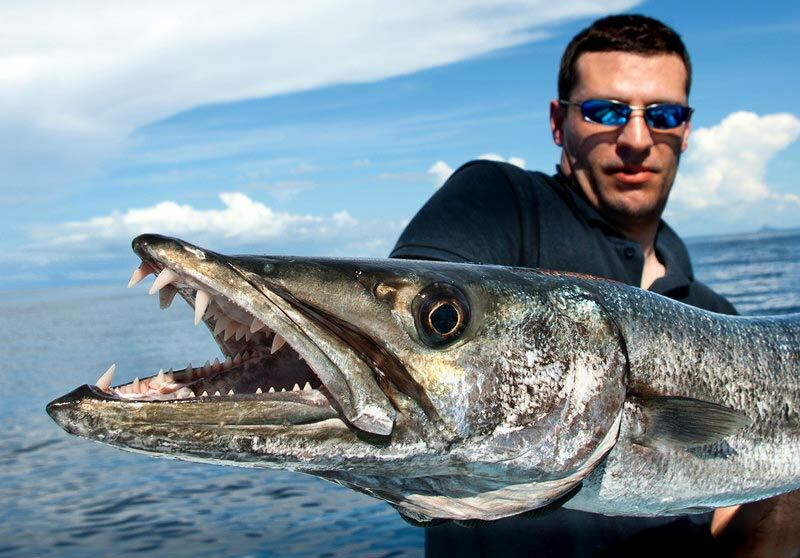 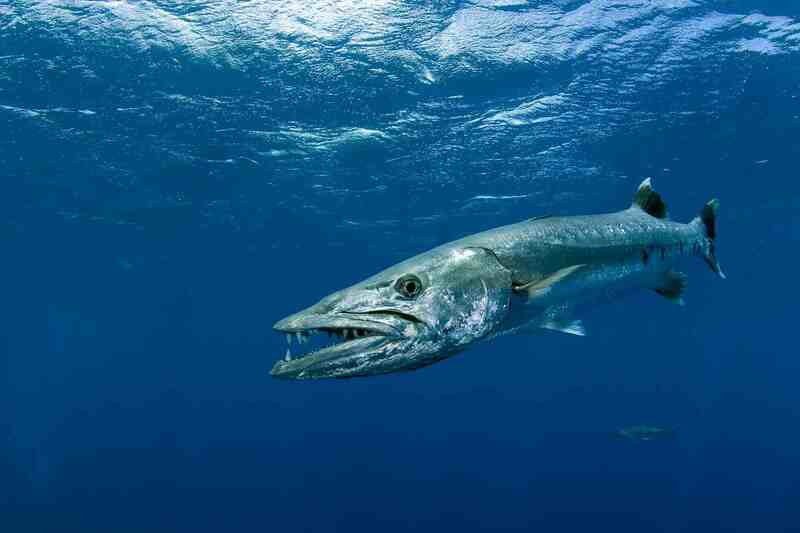 My first big barracuda caused me to fall in love in the species, which puts up an incredible fight.